Frozen cream is made from pasteurized milk, free from preservatives, additives or fats. It’s frozen to preserve its natural taste and goodness of milk fat content. 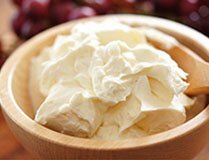 Contact AL-Ghani for full range of frozen or chilled cream available.